*My apologies for the title if you are one of my international readers. If your country provides similar information to the following links I provide, please let us know in the comments! We would love to hear. If you don’t know the answer to this question, you need to find out! I live by at least three and it’s always a treat to visit them. 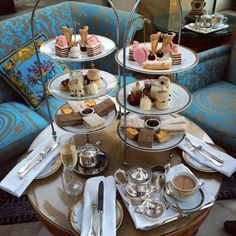 I especially enjoy wooing soon-to-be fans of Afternoon Tea by taking them to places where I know they’ll experience the best. There are a number of ways to find a great tearoom near you. First of all, every spring, Tea Experience magazine surveys its readers for the Readers’ Choice Awards. 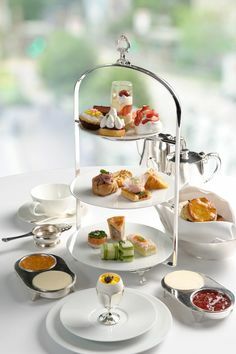 Afternoon Tea fans vote on the best small town tearoom, big city tearoom, best Bed and Breakfast tea, Best Spa Tea, etc. Is one of the winners close to you? Last year, Afternoon to Remember, a tearoom within a 40-minute drive to my home one Best Small City/Town Tearoom in America. This year, Rose Mountain Manor, a Bed-n-Breakfast within a 30-minute drive won in the Best B-n-B Tea category. Congratulations to my local tea comrades! Second, the websites Great Tearooms of America and TeaMap sponsored by Adagio Teas allow you to search tearooms based on your zip code. I also visit these sites when I make travel plans: my mother and I discovered Vintage Tea Leaf in Long Beach this way. 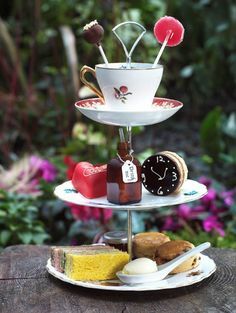 Great Tearooms of America provides you a personal listing based on distance from the zip code you entered and information about the tearoom based on what the tearoom owner submits. Important note: This information often changes and it’s a good idea to call ahead when making your plans. I personally find TeaMap the most helpful. Customers review their experiences which gives you a chance to learn more about the tearoom before visiting it. The tearooms are also categorized by location depending on the zip code you enter. Those rated among the Top 5% earn a blue ribbon making it easy for you to spot the best. Again, it’s important to remember that not all tearooms are created equal. Opening a tearoom works like many hospitality businesses. Often the idea of working in hospitality is romanticized and new business owners forget it is hard physical work and easy to perform poorly. There are two new tearooms in my area that opened within the last year. I don’t recommend either of them when asked. Two others within forty miles have closed since I started my business 18 months ago. Here are the top three questions I ask when I do investigate new tearooms. Is it recommended by others, especially someone I know who often visit tearooms? How am I received when I call on the phone? Are they patient with my questions and seem interested in meeting my needs? Is their website up-to-date and professional? Does it offer a sample menu with variety? Some of you may care about a tearoom’s atmosphere. 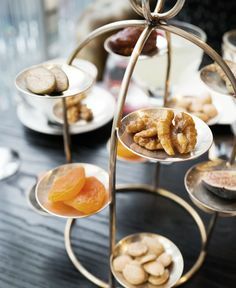 For example, I recommend another semi-local tearoom, Earl Grey Manor Tea Salon often because men feel more comfortable in their art deco environment than in a Victorian setting. And, honestly, I always judge a tearoom harshly if they don’t respect the Tea Party’s Most Important Ingredient. It amazes me how often this is overlooked. 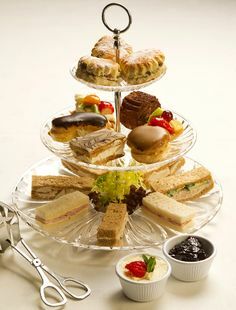 We would love to hear in the comments below about your best and worst tearoom experience. How do you decide whether to visit a tearoom? I’ve never been to a tea room before but thanks to your links I found one about 10 miles away. I think I’ll have to make a visit there one day after dropping the kids off at daycare for some me time. Yea, Rebecca! You go. Be sure to come back and tell us about your experience. We have a tearoom nearby…and while there’s nothing wrong with it or the tea (the owner really does pay attention to the tea she serves, though maybe isn’t completely “up to date” on the information she gives out), I don’t frequent it. I realize it’s nit-picky, but the last time I was in, I spent around $70 on yixing teaware, and then my mom and I had planned to stay for tea. We checked the hours it was open on the sign before entering, and it said they were open for a couple more hours. So we went in and happily browsed, paid for our purchases, and then told the owner we would like to sit down for tea. A breach of customer service that no shop owner should commit, in my opinion. 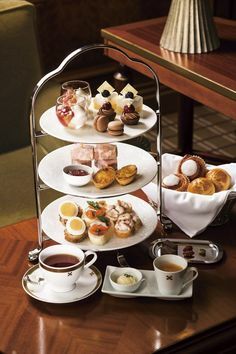 Between my mom and I, we had spent almost $100 already in her shop, and were prepared to spend more for tea, and she was kindly ushering us out the door simply because they wanted to leave. Had that been posted on the door (closing early today, or something to that effect), I would have been fine, but the suggestion to come back during the week nearly put me over the edge. I work all week, and her hours are sparse enough as is, so the only time I have to go is on Saturday when they’re open, and she was telling me that just then my careful plans were for naught (yet they didn’t show us the door until after we had both spent considerable sums on loose tea and teaware). She did offer to serve us after I explained that it was difficult to fit in a trip to her store with my work hours, but by then, I preferred to just leave, especially when she said “but there’s always time for tea”. Apparently there hadn’t been just three minutes earlier when she told me they were closing. So while I’ve noted that the sign outside boasts “new, longer hours” during the week and hours on the weekends as well, I’m not all that moved to go back now. It’s the only tearoom in town, but I’m fine ordering my tea & teawares off the net until someone sees fit to open another one here (hopefully with better attention to the *customers* needs). Jamie, did you happen to post a review at TeaMap? Earl Grey Manor is permanently closed as of August. Partea Time in Folsom just closed last week. They’re dropping like flies and we need the variety! Please help promote the few that remain! The best in the Sacramento area are An Afternoon to Remember (Newcastle) and A Dash of Panache (Roseville). Both owners (Amy at AATR and Scott at ADOP) are great people and I’ve thoroughly enjoyed my multiple visits to each location (food is awesome…ADOP’s decor is very unique too, french deco I think). Both owners state that they are struggling with the economy because people are not going out to tea when financial times are tough.